The Dr. is making a house call each and every week. Welcome to Dr. Tequila's Cantina hosted in part by the Flying Eye Grand Poohbah, Andy Goldfinger with help from the Dr. himself. Each and every Wednesday for your listening and dining pleasure. The Dr's. prescription for music will tantalize your musical taste buds. Music from the old vinyl recordings some of which you may remember will emanate as we use the way back machine, so stay tuned. It is easy to subscribe to the podcasts. This week the good Doctor has some great folks sitting in the waiting room ready to come up on the stage Mark Kerr, JJ Grey, Steppenwolf, Tower of Power, Rolling Stones, Opie Gone Bad and of course Dr. Tequila (Richie Barron) himself. This week the good Doctor has some great folks sitting in the waiting room ready to come up on the stage Mark Kerr, JJ Grey, Otis Redding, Jimi Hendrix, North Mississippi Allstars, Warren Haynes, Bobby Womack Buddy Guy and of course Dr. Tequila (Richie Barron) himself. This week the good Doctor has some great folks sitting in the waiting room ready to come up on the stage Mark Kerr, JJ Grey, Otis Redding, Greg Golden Band, The Meters Little Feat and of course Dr. Tequila (Richie Barron) himself. This week the good Doctor has some great folks sitting in the waiting room ready to come up on the stage Santana, Leon Russell, War, Jimi Hendrix, Tower of Power, Mark Kerr, Opie Gone Bad and of course Dr. Tequila (Richie Barron) himself. 07/01/2015 Join In On The Funking Humpday With The Dr. This week the good Doctor has some great folks sitting in the waiting room ready to come up on the stage The Motet, Leon Russell, James Brown, War, Jimi Hendrix, Tower of Power and of course Dr. Tequila (Richie Barron) himself. This week the good Doctor has some great folks sitting in the waiting room ready to come up on the stage Mike Kerr, Greg Golden, JJ Grey, Van Morrison, Little Richard, and of course Dr. Tequila (Richie Barron) himself. This week the good Doctor has some great folks sitting in the waiting room ready to come up on the stage The Blues Brothers, Sly Stone, Delbert McClinton, Leon Russell, Paul Green, Mike Onesko, The Chicago Mob, and of course Dr. Tequila (Richie Barron) himself. This week the good Doctor has some great folks sitting in the waiting room ready to come up on the stage Greg Golden, Johnny Winter, J. Geils Band, Joe Cocker, August, Tower of Power, and of course Dr. Tequila (Richie Barron) himself. This week the good Doctor has some great folks sitting in the waiting room ready to come up on the stage Ira Walker, Tower of Power, Mark Kerr, James Brown, Steppenwolf and of course Dr. Tequila (Richie Barron) himself. This week the good Doctor has some great folks sitting in the waiting room ready to come up on the stage Marta Gee, Lou Donaldson, Santana, The Rolling Stones, Buddy Miles, Mark Kerr and of course Dr. Tequila (Richie Barron) himself. This week the good Doctor has some great folks sitting in the waiting room ready to come up on the stage. Greg Golden, Steppenwolf, Joey Galea, Jeff Beck, Al Molina and of course Dr. Tequila (Richie Barron) himself. It's a podcast folks (http://flyingeyeradionetwork.com/?view=most-recent-stream), you can listen anytime! This week the good Doctor has some great folks sitting in the waiting room ready to come up on the stage. Santana. Tower of Power, Mark Kerr, Danny Pattison, James Brown, Little Feat, and of course Dr. Tequila (Richie Barron) himself. This week the good Doctor has some great folks sitting in the waiting room ready to come up on the stage. Santana. Tower of Power, Rolling Stones, Greg Golden Band, Steppenwolf, The Chicago Mob, and of course Dr. Tequila (Richie Barron) himself. It's a podcast folks, you can listen anytime! This week the good Doctor has some great folks sitting in the waiting room ready to come up on the stage. Mike Onesko, Greg Golden, The Chicago Mob, Leon Russell, Santana. Mark Kerr and of course Dr. Tequila (Richie Barron) himself. It's a podcast folks, you can listen anytime! Just go to our website (http://flyingeyeradionetwork.com) and click on the "Latest Podcast" banner. This week the good Doctor has some great folks sitting in the waiting room ready to come up on the stage. Rolling Stones, Sly and the Family Stone, Tower of Power, James Brown, War, Stephen Stills and of course Dr. Tequila (Richie Barron) himself. It's a podcast folks, you can listen anytime! This week the good Doctor has some great folks sitting in the waiting room ready to come up on the stage. Mark Kerr, Sly and the Family Stone, Allman Brothers, Joe Cocker, War, Stephen Stills and of course Dr. Tequila (Richie Barron) himself. It's a podcast folks, you can listen anytime! This week the good Doctor has some great folks sitting in the waiting room ready to come up on the stage. James Brown, Tower of Power, Mark Kerr, Rod Stewart, Bill Noteman and of course Dr. Tequila (Richie Barron) himself. It's a podcast folks, you can listen anytime! What better way to spend new years eve day or evening than with the Dr. himself. Today Joe Cocker, TOP, Mark Kerr and so much more. This week the good Doctor has some great folks sitting in the waiting room ready to come up on the stage. Tower of Power, James Brown, The Rolling Stones, Edgar & Johnny Winter, Bill Noteman, Greg Golden and of course Dr. Tequila (Richie Barron) himself. It's a podcast folks, you can listen anytime! This week the good Doctor has some great folks sitting in the waiting room ready to come up on the stage. Billy Noteman, Lenny Pickett, Ray Charles, Leon Russell, Mark Kerr, Sly Stone and of course Dr. Tequila (Richie Barron) himself. It's a podcast folks, you can listen anytime! This week the good Doctor has some great folks sitting in the waiting room ready to come up on the stage. Ray Charles, Mark Kerr, Sly and the Family Stone, Lenny Kravitz, ConFunkShun and of course Dr. Tequila (Richie Barron) himself. It's a podcast folks, you can listen anytime! Just go to our website (http://flyingeyeradionetwork.com) and click on the "Latest Podcast" banner. This week the good Doctor has some great folks sitting in the waiting room ready to come up on the stage. 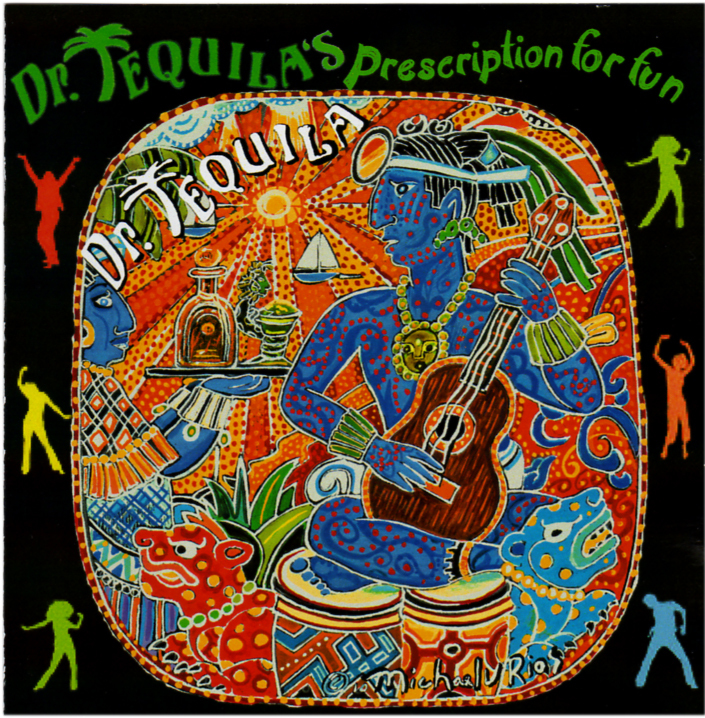 Leon Russell, Little Feat, J. Geils, Rolling Stone, Buddy Miles, Belita Woods and of course Dr. Tequila (Richie Barron) himself. It's a podcast folks, you can listen anytime! This week the good Doctor has some great folks sitting in the waiting room ready to come up on the stage. Leon Russell, Ray Charles, James Brown, Mark Kerr, Chester Thompson, The Chicago Mob and of course Dr. Tequila (Richie Barron) himself. It's a podcast folks, you can listen anytime!